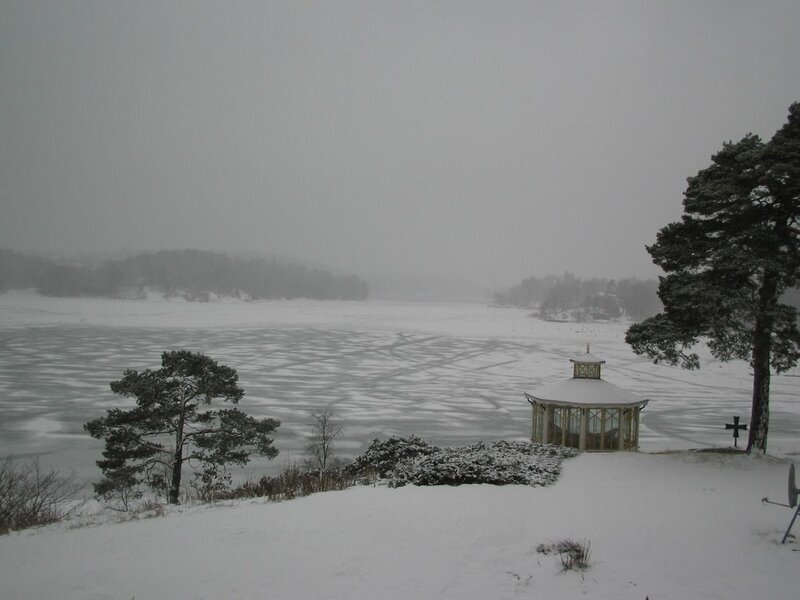 Fargo's Blog: April Fools Day Comes Early to Sweden! April Fools Day Comes Early to Sweden! This would be sad and pathetic if it wasn't so absurd. The photo on top was taken on March 29th. Had a whole "Spring Has Arrived" entry mapped out in my mind. 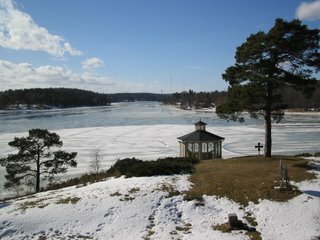 It was a beautiful day, and the snow was melting away and all the Swedes were smiling. Alas, I awoke this morn to find this was only a cruel hoax, an early April Fool's joke. As the photo on the bottom will attest Winter was just taking a little "breather" and had returned to powder the trees, hills and valleys with its vile snow. When taking the kids to school this morning, the smiles seen yesterday? Gone. The mood was somber. Even Erika proffered "Daddy, it snows too much in Sweden". Indeed. The only solace is that on Sunday the kids and I will fly to FLORIDA! We will be joining Sofia who left this past Monday. To say I am looking forward to it would be grossly inaccurate. This journey has become a spiritual trek, me to my Mecca. The thought of standing with my feet in the warm sand is mesmerizing. You get the idea.